After taking a break and mulling a possible split, the indie rock darlings from Ontario, Canada have reconvened to prove they've still got some licks in their wheelhouse. 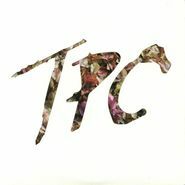 Fourth album TPC finds the band once again utilizing producer Rob Schnapf, who helped helm their successful second full-length Champ, and the plentiful hooks are given the expected glossy sheen. The main difference here is the band takes their time building the tracks, with many songs lasting over the four minute mark...giving them the added edge of both a slow-burn listening experience at home while still being anthem ready for their live sets.